Mike Usry is an entrepreneur and marketer at heart. 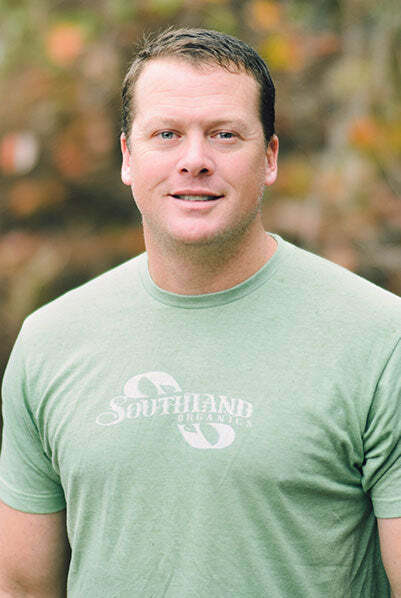 Mike’s passion for leading a healthy lifestyle, free from toxins and chemicals birthed Southland Organics. The primary goal of Southland has always been to help conventional farmers and gardeners use affordable organic products to promote sustainable agriculture, producing healthy foods and beautiful turf. Mike is a graduate of the University of Georgia where he lettered in football. He also holds his MBA from the University of South Florida. He is a board member of the Touchdown Club of Athens. Previously he served on the Board of Directors for the Athens Jaycees and served a one-year term as the Georgia Jaycees Vice President of Operations. Mike resides in Athens, GA with his with his wife, Karin, and their two children, Ayn Parker and Brandt. The family attends Prince Avenue Baptist Church. He is an avid gardener, wannabe farmer, and foodie and is an active participant in the local community. We are proud to serve some of the largest institutions and industry leaders.